A healthy oral hygiene ensures fresh breath, strong teeth and prevents tooth decay and gum diseases. Apart from this, there can be emergency situations in case of accidents that require urgent dental care. We help you find some best emergency dentists in Kannapolis, a city in Cabarrus and Rowan countries in North Carolina (NC), United States. Oral hygiene is basically the care of the mouth which includes removal of tartar and plaque from the teeth to prevent various gum diseases and cavities. Freshness of the breath is also included in oral hygiene. Regular cleaning of the teeth ensures that the breath is not pungent. Bad tooth are very much visible and it is also noticeable that one do not take proper time in cleaning their teeth properly. Brushing of teeth is very important but doing it in a proper way is basically an art. Brushing is done in a gentle back and forth motion along the surface of the teeth where the chewing and biting are done. In order to remove the pungent odor from the mouth one should brush along the tongue and get the clearer fresh breath. Tilting the toothbrush vertically aids in proper cleaning of teeth as it allows more access to the areas. Biting surface of the teeth should also be brushed properly. We do understand how painful and frustrating a dental problem can be and how necessary it is for a dentist to be available in an area 24/7. However, dental problems can be avoided to a great extent by taking proper care of your teeth and gums, but there are times when these problems become unavoidable. Hence, we as a team help you find some of the best emergency dental care services and dentists in Kannapolis, NC. 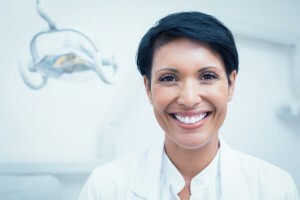 Description Call our Kannapolis referral service Emergency Dentists USA phone number and get connected to an emergency dentist in Kannapolis, NC in seconds! We provide a service that will get you to the dentist that fastest and easiest way possible, you can call us 24 hours a day, 7 days a week and its 100% free! Dentist: Kimberly Canton-Kane, DDS; Linny M. Baker, MD, FAAP; T. Patrick Burns, DDS; and many more. It offers a variety of dental care services to the people of Kannapolis, NC. Apart from dental treatment, cha also provides free oral health education and a number of preventive and restorative dentistry services to children and adults to promote oral health in the community. Oral health awareness is also spread among children with the help of mobile dental vans. Huge discounts are offered to people with poor financial condition. Address: 2482 Wonder Drive, Kannapolis, NC 28083. Considered as one of the fastest growing dental services in entire North Carolina, it offers quality dental services to its patients. Some of the dental procedures offered are dental cleaning, tooth whitening, bridges, root canals and standard fillings etc. It is a one-step solution for all the dental problems of the entire family. It also offers dental discount Plans which helps in availing discounts during treatment. Dentist: Jotinder K. Johal, DMD; Donna Knowlton, DDS; Richard Dunning, DDS; and Sanath Kommineni, DDS. Dental Works provides one of the best dental care services in Kannapolis. It has a 5 star customer rating in dental services. It provides general and cosmetic dentistry service for the entire family. Other featured services offered by Dental Works include dentures and partials, orthodontics, periodontics and oral surgeries. All the major dental insurance plans are accepted by the organization. It also offers flexible payment options for the ease of people. The city of Kannapolis has numerous quality dental care facilities making it easier for people to access its benefits. You can save a lot of money if you have a proper dental insurance plan. So don’t forget to carry all the necessary documents to claim the benefits of your insurance plan. Book an appointment beforehand and carry necessary cash and cards for making different payments. All the dental care facilities offer flexible payment options. Make sure you do have a driver to drive you back home in case of severe oral surgeries and procedures. Go through the doctor’s profile available in the website of the company before you make any decision to visit a dentist. Public ratings and reviews about dentists and background check using local dental website further helps in choosing the right walk in urgent care dentist. Teeth are very important for an individual; it plays the vital role in appearance of a person. Broken teeth, missing teeth and crooked teeth are problems faced by many people. These problems are creating stigma in their professional as well as personal life. Only a dental professional can repair these serious oral problems. Trust these emrgency dentists in Kannapolis, NC to solve your problems.